Figure 1. 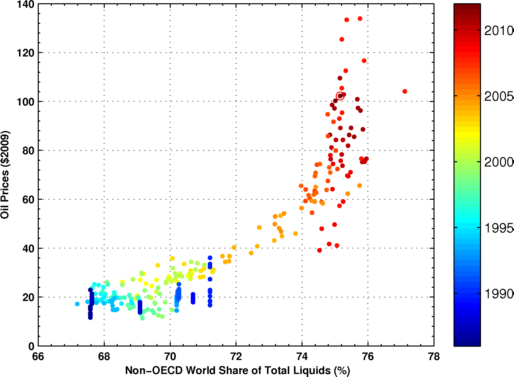 World share of total liquid production . Sources: BP and EIA. Figure 2. 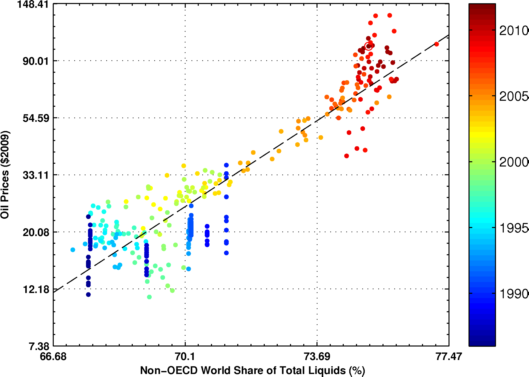 Non OECD World share of total liquid production and real oil prices. Sources: BP, EIA, FRED. Prices are low when the share is below 50% which was the case in the 90s. 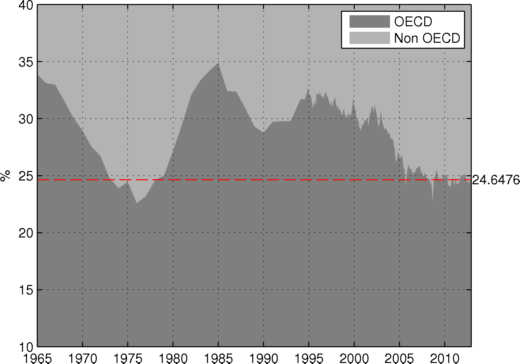 So it seems to imply that when the world supply is too dependent on Non OECD supply (which includes OPEC producers), we then get high oil prices. Figure 3. Same as Fig. 2 but as a scatter plot. The red circle indicates February 2012.
so an increase of 10% in the Non OECD Share of total production will produce a 150% jump in oil prices. One solution to reduce prices is for the OECD to increase supply which seems to be happening with strong supply growth coming from the US (a 1 Mb/d increase in OECD supply with then decrease prices by about 15%) . 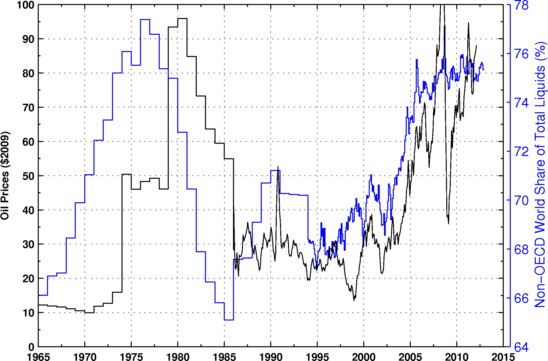 Of course, other factors are influencing prices, consumption growth for instance.